Outside interests: Road biking, hiking, running, fishing, sewing, volunteering, hanging out with my kids. 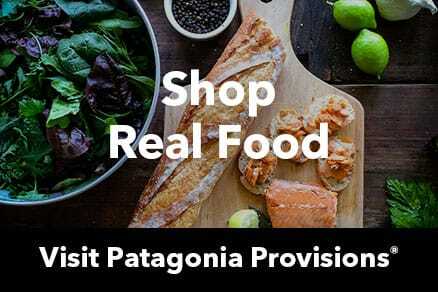 Your path to Patagonia: I started by hanging out with my friends at Real Cheap Sports (Patagonia’s first outlet store) in Ventura, and we would go play on their lunch hours. We would run, paddle past the break, swim or bike. The manager at the time (Paul Tebbel) insisted I just clock in since I was helping customers on the sales floor while I waited for my friend to take her lunch. I get to work with like-minded, kind, genuine, honest people who have strong work ethics. They work hard in order to play! Every day I feel supported and encouraged by my work friends. It is rare to find a company that appreciates you being an activist and actively pursuing your passion to recreate in the outdoors. These are not always positive attributes for most employers, but championed here! Family-life balance has enabled me to raise three kids in a mountain town, close to amazing Blue Ribbon trout rivers. The last responsibility listed on all our job descriptions is to “provide a harmonious work atmosphere.” I have extended this to include: “harmonious life atmosphere.” This simply states how Patagonia fits into my life. 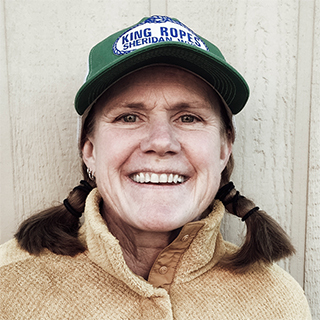 Moving into southwest Montana and opening the Patagonia Outlet in Dillon (the biggest cattle county in the state of Montana), I had to learn the importance of researching both sides of an environmental issue and quickly educate my staff and myself so we could “preach” the Patagonia campaigns in a way that would not alienate ourselves from our neighbors. A couple of years ago I was fortunate to do an environmental internship helping to create Patagonia Park in Chile. The experience with Conservación Patagónica still holds a spot as one of the most amazing opportunities in my entire life.